Now that the world has begun to change (radically and quickly) with the new globalization movement of a corporate world based on best practices, transparency, accountability and credibility to foster the ideal world we want to see under the ideals of a sustainable planet with the United Nations and the Global Goals; the role of the human being and our identity is also being redefined. On April 18th, 2016 the Universal Declaration on Human Rights was revised and improved to meet the needs of the human being and our role as the residents of the planet and the Global Citizenship Commission was introduced to expand our rights as human beings and participants of a healthy planet. 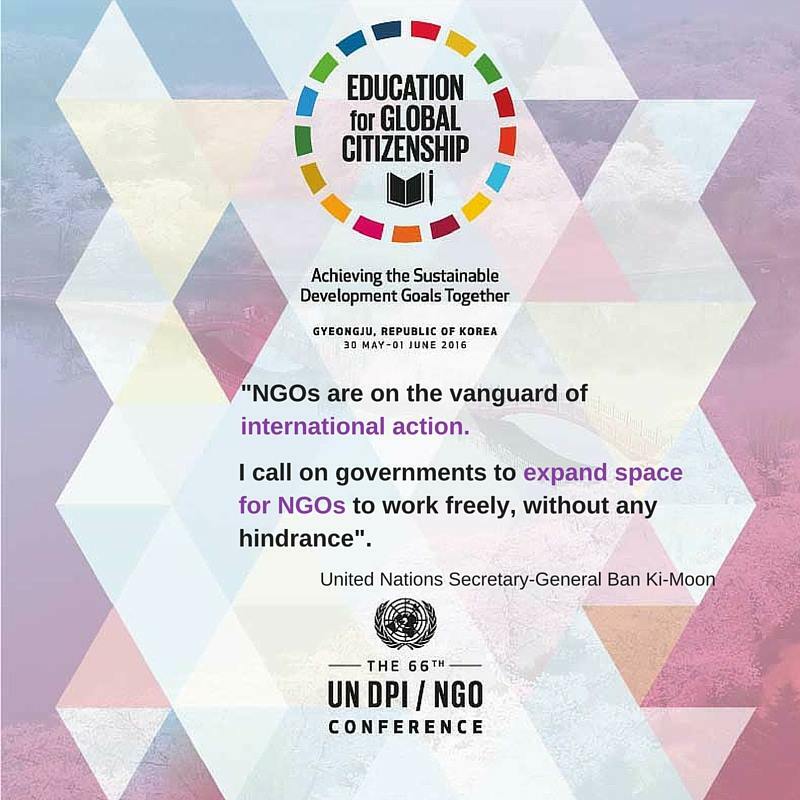 A global education action agenda affirming the importance of Sustainable Development Goal 4 – ensuring inclusive and equitable quality education and promoting lifelong opportunities for all – was adopted in Gyeongju, Republic of Korea. 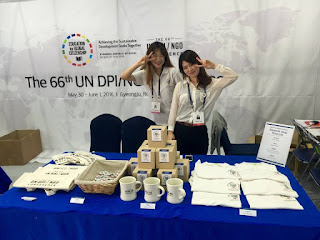 The Gyeongju Action Plan provides concrete guidance for NGOs around the world to enhance their ability to lobby governments to commitment to implementing the Sustainable Sustainable Development Goals and mobilize NGOs in communities on the ground. “The United Nations is committed to continue to support and partner with NGOs and academia in our joint efforts to advocate for and successfully implement the 2030 Agenda,” Ms. Gallach continued. The newly adopted Action Plan includes a series of concrete measures for NGOs around the world to jump-start implementation of the 2030 Agenda at the grass roots level. 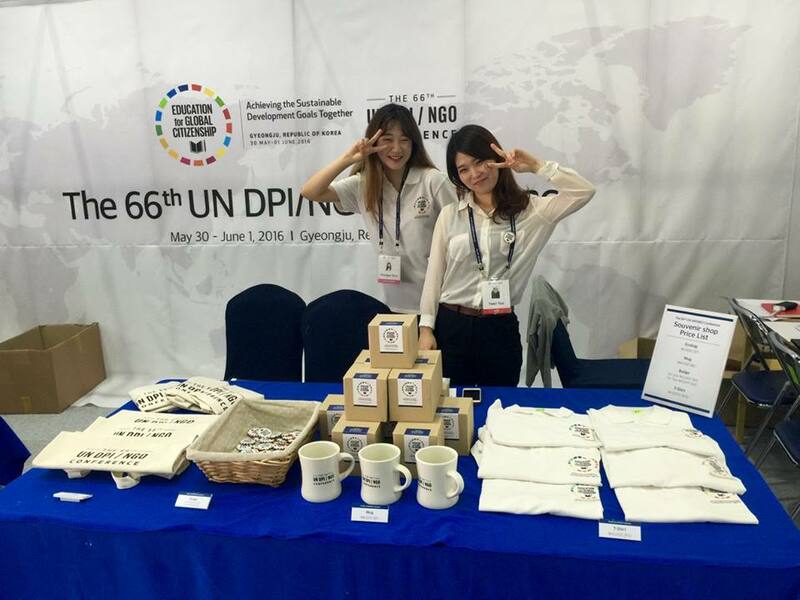 “We hope that Gyeongju was an inspirational setting for finalizing a truly unifying action plan that will be useful for NGOs, wherever they are working,” added Co-Chair Dr.Yukang Choi. For the first time in the history of the DPI/NGO Conference, youth also developed and issued a Youth Declaration. “Unfortunately youth are still not involved enough in policy making processes around the world,” said Ms. Saphira Rameshfar, representative of the Baha'i Community and Conference youth leader. “The Youth Declaration is a necessary reminder that young people are needed as leaders and decision-makers not only in youth forums and special-purpose councils, but in those spaces where the course and direction of society as a whole are determined,” added Ms. Rameshfar. The Action Plan was drafted through a global multi-stakeholder consultation process, leading up to, and during the conference. 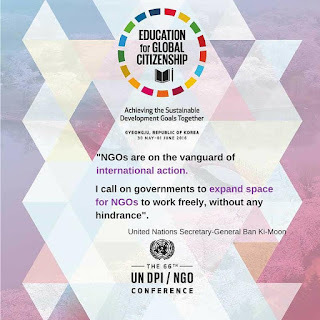 It was adopted at the Conference's final plenary session and will be shared widely with civil society as well as the UN Secretary-General, the UN System, Member States and learning communities. There are a number of relative articles and ideals that can be investigated and explored that justify the ideal world where fairness and collective prosperity can be understood. Please delve into them and learn more about our future as global citizens.